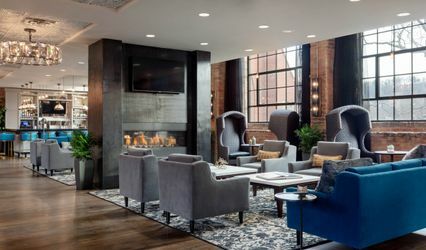 The Foundry Hotel is a historical hotel and wedding venue in Asheville, North Carolina. This early 20th-century building offers a unique atmosphere for weddings of all styles. 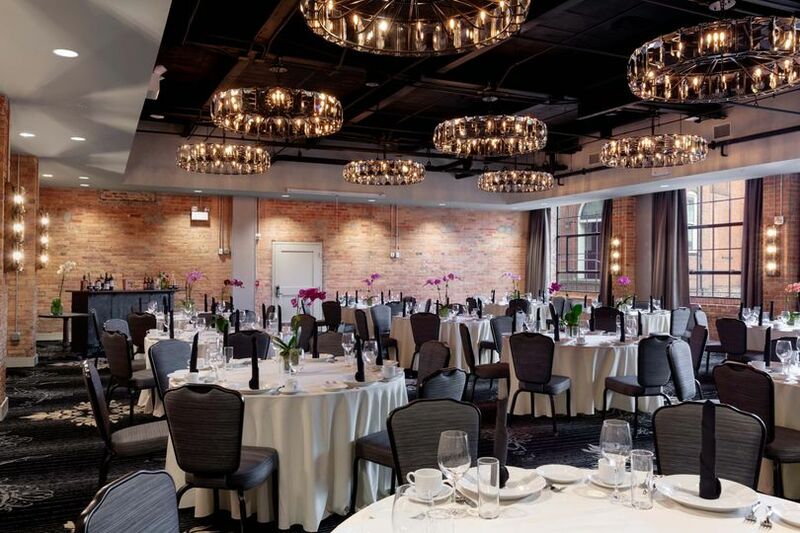 Whether you’re planning a romantic and intimate affair or a more lively celebration, the rustic charm of The Foundry Hotel will create an ideal space for your big day. 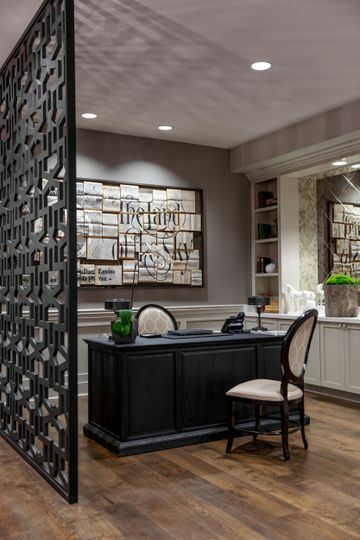 It offers elegant ballrooms, onsite dining and catering, luxury rooms, and classic decor that suits every style. 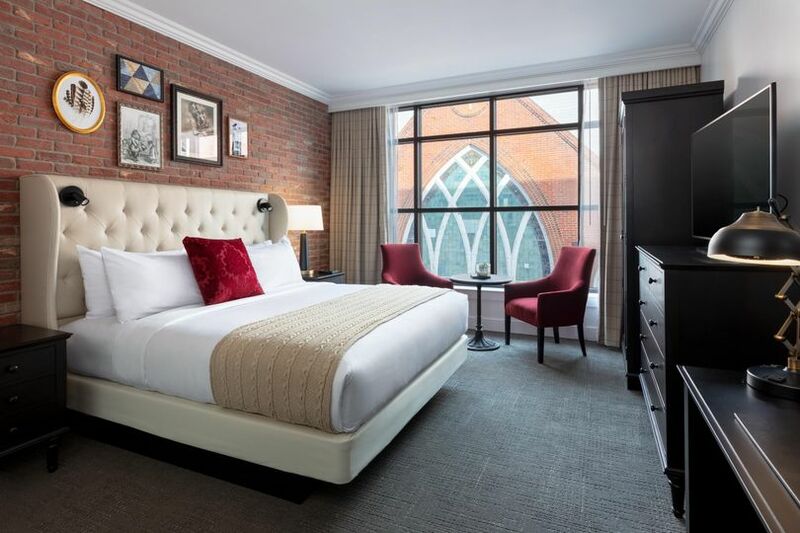 Choose to make lifelong memories with your family and friends at The Foundry Hotel. It will be an unforgettable experience for everyone. 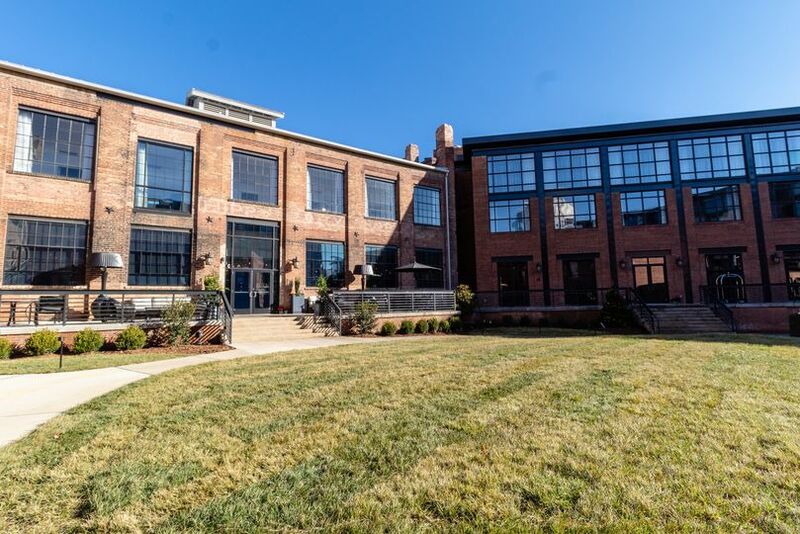 The Foundry Hotel offers several indoor and outdoor venue spaces for weddings of every style. 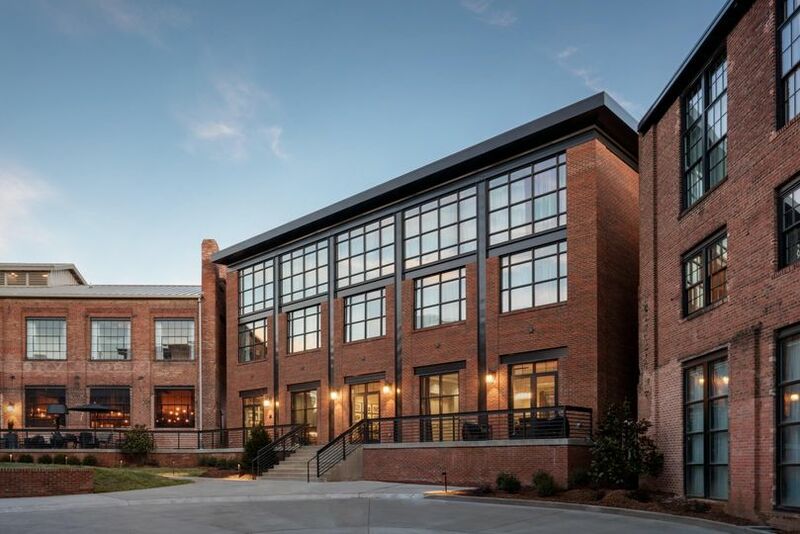 The building was once a restored steel factory, and still provides the industrial-chic style of its former life. However, it offers beauty and elegance in the renovated interiors and beautiful outdoor space with mountain views. Ceremonies can be held in the bocce event lawn, surrounded by a delicately manicured garden. Near the ceremony space, guests can enjoy a cocktail hour at the Lookout suite. 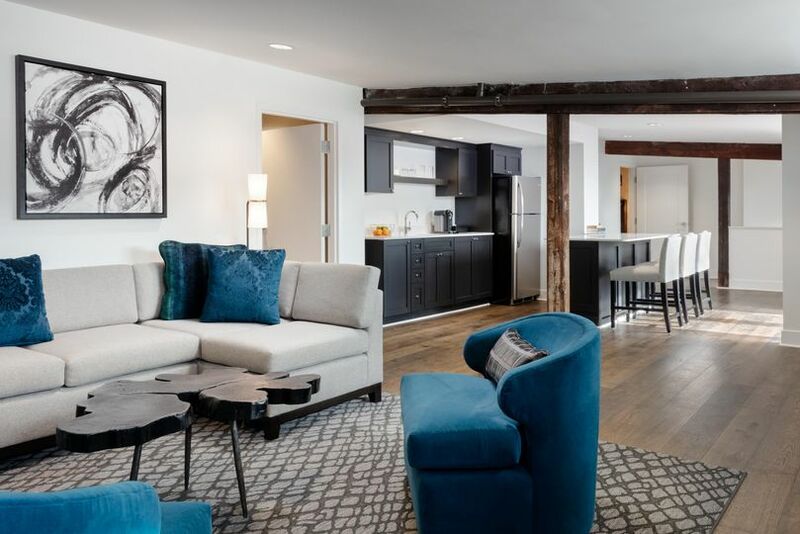 It offers a private terrace and stunning views of the Blue Ridge Mountains. Intimate elopements can be hosted entirely outside, but larger parties are typically held in the Savoy Ballroom. After dinner guests may wander pack outside to enjoy a cozy firepit and private seating areas. 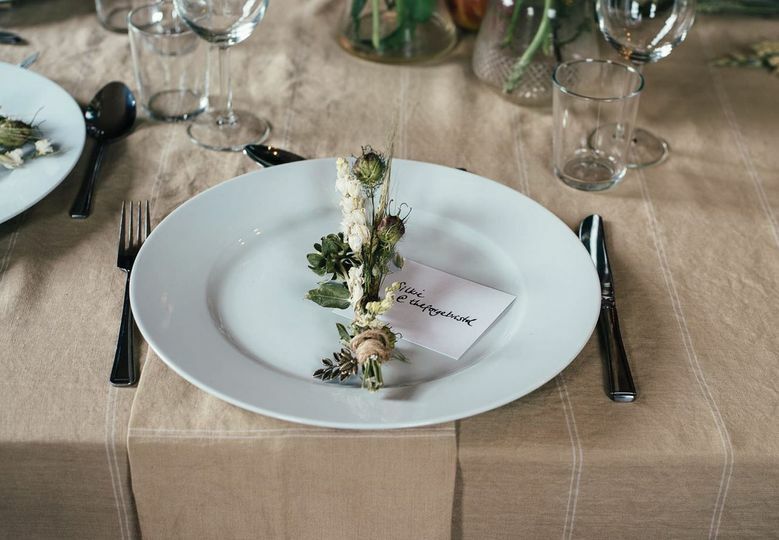 There is also an onsite restaurant for smaller, casual wedding dinners. 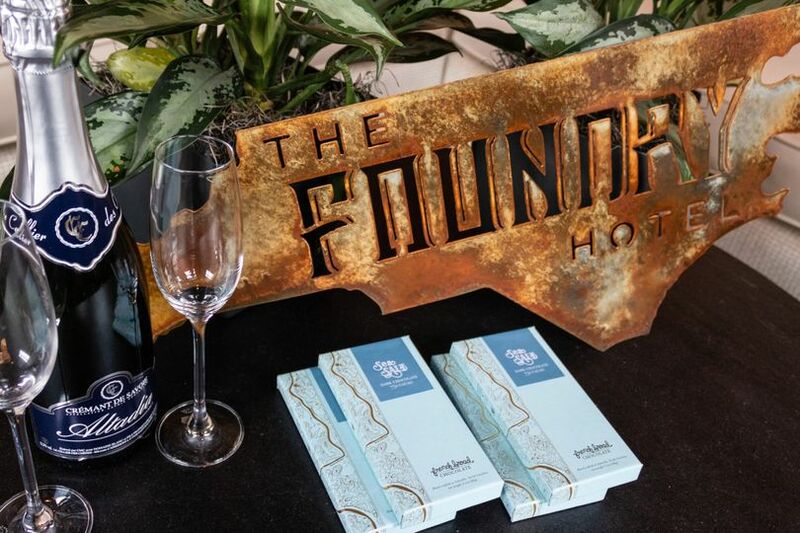 The Foundry Hotel wants to help every couple put on the event of a lifetime for their wedding day. They will work closely with you throughout the engagement to ensure your day is memorable, personal, and stress-free. They offer champagne toasts and authentic, local Appalachian catering for your reception. The hotel also offers wellness packages for you to relax before the big day or enjoy on your honeymoon vacation. Transportation via the House Tesla is available to select locations around Asheville for your guests’ convenience. I was Chairperson for an annual fundraising event, for a local non-profit. The event was handled with such professionalism with complete attention to every detail. No hesitation at all to recommend their services. I have no had my wedding there yet, but the booking process was seamless. Julie made everything extremely easy, was super knowledgeable and responsive! 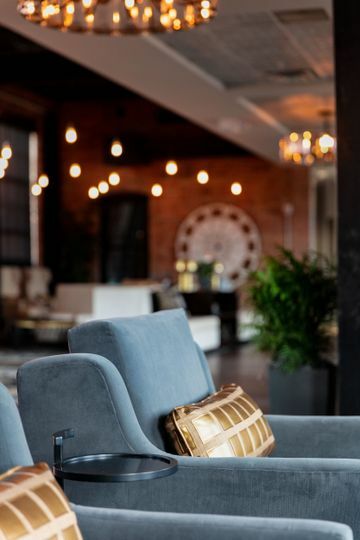 The venue itself is unique and eye catching, its a must see if you want a venue in a great location downtown. Thank you Chelsea for your positive feedback! We appreciate you sharing what you think and I look forward to holding a memorable and one-of-a-kind event with you all! You have been so great to work with this far and I look forward to working with you further for your wedding!